As an Imagine Watford volunteer you will have the opportunity to make new friends, give back to the community, support the arts, experience the festival from behind the scenes and be part of something really special. Roles are available to support stewarding and artist liaison throughout the festival. You can give as much or as little time as you want. No experience necessary, training will be provided. Volunteering is also a fantastic way to gain work experience, improve your CV and develop the skills that employers are looking for. 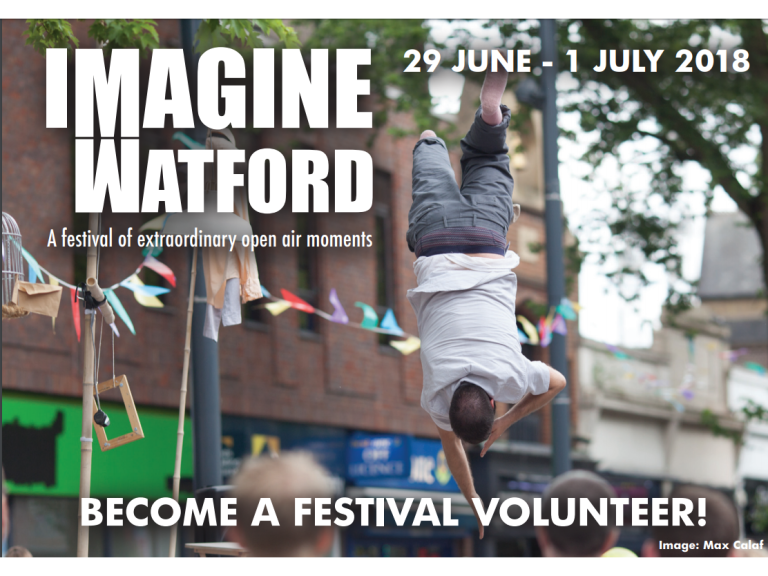 If you have an interest in events management, working in the arts or with the public - volunteering with Imagine Watford could be ideal for you.